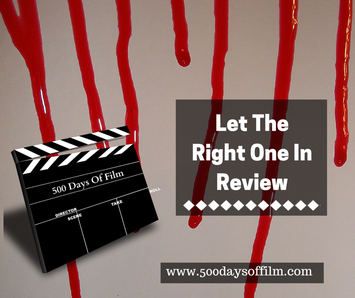 In Let The Right One In, we meet Oskar, a lonely, friendless boy, who is being horribly bullied at school. One day, an enigmatic young girl called Eli moves into his apartment block and he starts to think he might have found an ally. Eli warns Oskar that they cannot be friends and yet, despite this, the pair begin to form a close bond. Both feel different and very much on the outside. Is Let The Right One In any good… let me see… yes!!! It is haunting, moving, spellbinding and superbly acted - just altogether brilliant. Oh my goodness, do see this film - it is so so good. One of those movies that will stay with me for a long long time. I am not sure that I have seen such a fantastic depiction of the helpless, powerlessness of childhood. Oskar is subjected to the most terrible cruelty at school from a group of bullies that seem inhuman and certainly indifferent to his suffering. Meanwhile, at home, his mother appears loving if absent and when he is shuttled off to see his father he only ends up feeling more out of place and rejected. His situation is so desperately sad that you really root for him as he begins his friendship with Eli - even though you know that she is incredibly dangerous. Yes Eli is a monster, but I genuinely cared for her and the horror of her situation. However, I didn’t ever feel that Oskar was ever truly safe from Eli, which certainly kept the tension high! I think you may have already guessed that I loved this film! Have you seen it? If you have, I’d love to know if you enjoyed it as much as me. Leave me a comment in the box below! I left this film thinking less about vampires and more about childhood. I believe that the same cannot be said for the American remake (2010’s Let Me In starring Chloe Grace Moretz), which is (reportedly) more about vampires and less about the kids. I may well watch the remake someday but I don’t actually want to just now. I fear it wouldn’t stand a chance in such close proximity to the original. While I have mentioned that this is not a vampire film, I think I ought to add that there are scenes of a vampire nature and quite a lot of the ole red stuff. Can’t actually believe that Lina Leandersson was only 13 when this film was released. Wow.